Colombia’s peaceful future hinges greatly on how the country deals with one issue: land. There are many key moments and important steps in a major peace process like this one. But the inflexion point where the process moves from agreement to implementation is a true watershed moment, where the proverbial ‘rubber hits the road.’ It’s a critical time to make sure full and effective implementation proceeds on track, and land is at the top of the list of issues that can make or break an effective peace process in Colombia. Access to and control over land is at the heart of the final peace agreement. Its first chapter addresses comprehensive rural reform, recognizing the extreme concentration of landholdings as both a cause and consequence of the internal armed conflict. But it remains to be seen whether implementation of the peace process will effectively reverse the unequal distribution of land and stop the conflicts it generates in Colombia. Fittingly, land issues are exactly what brought me to Colombia. On the same historic November day as the peace deal approval, Oxfam released a new report in Spanish, Unearthed: land, power and inequality in Latin America, with a public forum in Bogotá. Looking at land inequality across the region, the paper found that 1 percent of farms in Latin America occupy more productive land than the remaining 99 percent. In Colombia, 0.4 percent of farms hold over 67 percent of land, making it the country with the most unequal land distribution in Latin America, according to agricultural census data. As implementation of the peace process begins, it is important to draw attention to the extreme concentration of landholdings in Colombia. That means addressing more than ownership, as there are other means of controlling land use in order to reap profits from its natural resource wealth. Our report documents how the ‘extractivist’ model of production, which is based on large-scale exploitation of natural resources, drives inequality that leads to greater concentration of land, wealth, and economic and political power, while also generating violence against those who defend the land and the rights of local communities. Just how the implementation process and resulting policies and practices will affect access to and control over land in Colombia will be a harbinger of the prospects for lasting peace and reduced poverty and inequality. And there are already reasons for serious concern. As I wrote earlier this year, President Santos signed a bill to create and regulate Zones of Interest for Economic and Social Development in Rural Areas (ZIDRES) earlier this year. The law will purportedly spur investment and create partnerships between small farmers and big businesses to expand agricultural production. But many fear that ZIDRES will serve to further concentrate landholdings and expand intensive extraction of natural resource wealth, thereby exacerbating rural inequality. Broad opposition delayed passage of the law for several years, and several lawsuits were filed to challenge its constitutionality following its passage. It is particularly important now to look at the ZIDRES in practice. The first and only one to be established to date is in the community of El Porvenir in the department of Meta in Colombia’s eastern region, often referred to as the Altillanura. Coincidentally, “El Porvenir” means “The Future” in Spanish – though in the land of Gabriel García Márquez, nothing is purely coincidental! El Porvenir is emblematic of the challenges and disputes over access to land in Colombia. The outcome of the land dispute in El Porvenir will be an indicator of future land inequality and the prospects for lasting peace with justice for rural communities. The significance of El Porvenir hit home for me as I listened to Luz Marina Arteaga, a resident of El Porvenir, speak about her community’s struggle for land rights at Oxfam’s public forum. It had taken her a full day to travel from her home to Bogotá, and she shared a short video about El Porvenir before she spoke. She is one of 73 campesinos of El Porvenir who appealed to Colombia’s Supreme Court to formally secure the rights of their community to the 27,000 hectares of land where they have lived and worked for decades. Their story is a complex one, but similar to countless others across Colombia: their families worked the land they always considered theirs. Then sometime around 1970 a businessman managed to claim the property and then sold it to a wealthy man who had made a fortune from mineral mining and was closely associated with paramilitary groups with ties to drug traffickers. Over the years, the community was subjected to threats and harassment, many were forcibly displaced, and several members were assassinated. The community appealed to the State on several occasions to recognize and protect their rights to the land, to little effect. When the first ZIDRES was announced without recognizing the rights of Luz Marina’s community to the land where they have lived and worked for over 45 years, she and 72 other campesinos from El Porvenir took their case to Colombia’s Supreme Court. And in August, the Court ruled in their favor. As a result, the first ZIDRES has been put on hold until the rights of the campesinos of El Porvenir, as agrarian reform beneficiaries under Colombian law, are clarified and made effective. While this ruling is a positive sign, the struggle for the future of El Porvenir is far from over and the plan to create a ZIDRES is still pending. Most land areas in Colombia that could be chosen for ZIDRES have similarly complex histories. A fascinating new investigative article about the history of land conflicts in the department of Vichada, neighboring Meta, illustrates this well – as it is the region where most ZIDRES could be established. It is in Vichada where Oxfam reported a few years ago that an international investment firm, then owned by Cargill (and has since spun off as a standalone company), had irregularly acquired 52,576 hectares of land destined for small farmers, exceeding the amount of land in that region that can be accumulated by one entity by 30 times. Journalists traced the history of the land acquired by Cargill’s then-subsidiary, which Oxfam’s research at the time could not do. It turned out that some of the same actors implicated in taking land from campesinos in El Porvenir, generating violence and often illicitly profiting, were involved in land transactions by the international corporation. And this is very likely not the only story like this. 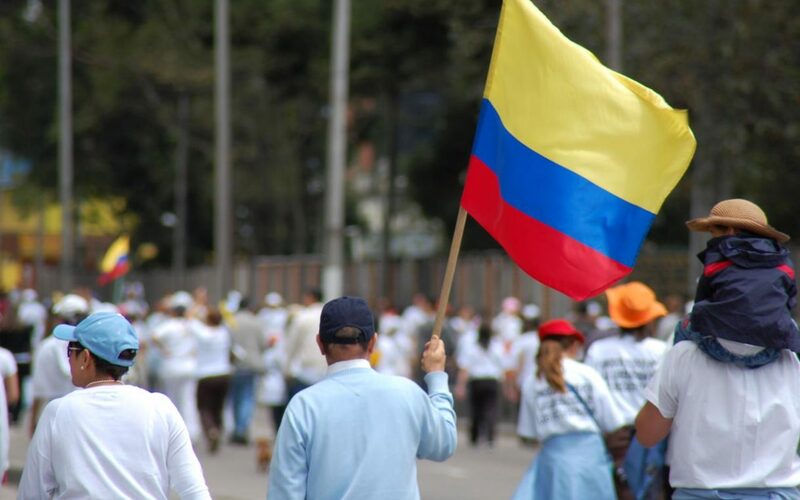 The peace process in Colombia has generated much hope and high expectations. Campesino, Afro-Colombian, and indigenous communities hope for restitution of their land and respect for their rights. Businesses hope for investment opportunities free from violence and conflict where they can thrive. Precisely how these different demands for land are handled will make a big difference for the outcome of the peace process. A final ruling by Colombia’s Supreme Court on the constitutionality of the ZIDRES law is still pending following a tie vote last month. Meanwhile, the World Bank just approved a loan to strengthen land management in Colombia. And the UN Food and Agriculture Organization has committed to supporting land access and restitution in the context of the peace process. These initiatives must be monitored closely, and meaningful civil society engagement in Colombia must be ensured. The devil is always in the details, so broad statements of intent must lead to concrete actions to address the country’s core problem of extreme inequality in access to and control over land. The best hope for the future and for the prospect of lasting peace in Colombia, is to ensure that the peace process enables fulfilment of Colombia’s constitutional mandate. That is, to promote progressive access to ownership of land for agricultural workers with limited resources to improve the income and quality of life of the rural population. 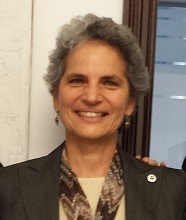 Stephanie Burgos is Oxfam’s America’s Economic Justice Policy Manager.